Hopefully, this little pouch will keep her sewing bits and bobs safe and remind her that her sewing group is waiting for her return! Sewing friends are the best! They truly are! I don't know what I would do without my quilty friends! What a great little gift to help her remember! Super cute...love the new header! That is adorable! I think she is lucky to have you for a friend! Oh - i love your new header! Very sweet. Can we talk about that hexie header? Gorgeous! 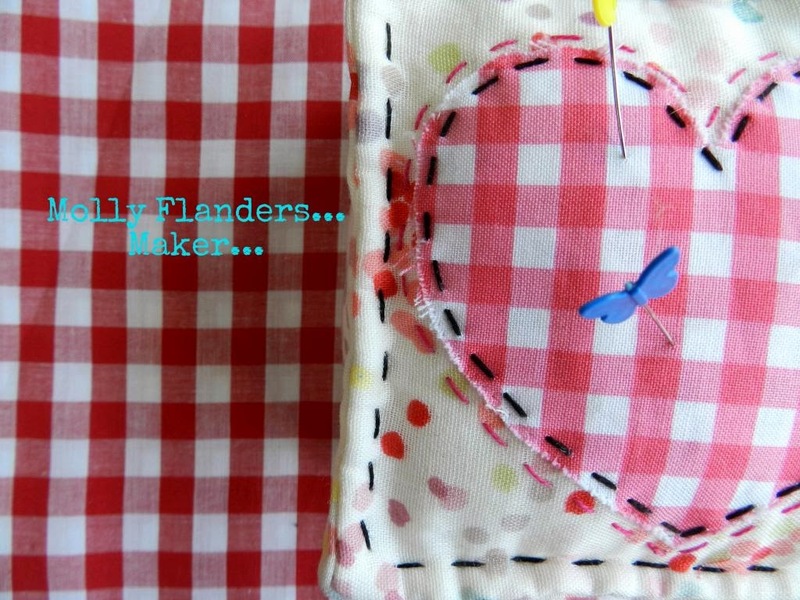 Molly Fldnders Makerie sounds so fabulous!! Love your hexies as a header. Your going away gift is really gorgeous and will be treasured for sure! Mary, that is the cutest! What will we do when she leaves us?! That is a very sweet pouch and a beautiful gift. Such a sweet gift that will long be treasured. She will have it to remember happy stitching times! Your hexie header is lovely too! Looks like you are getting re-acquainted with your computer! You are so thoughtful...what a sweet gesture! BTW, I love your new header too! How sad to miss a friend. Good luck to her, I'm sure she'll miss your group. I love your new header.